Your sense of humor is one of your most powerful assets. This is the best book ever on how to supercharge your sense of humor. 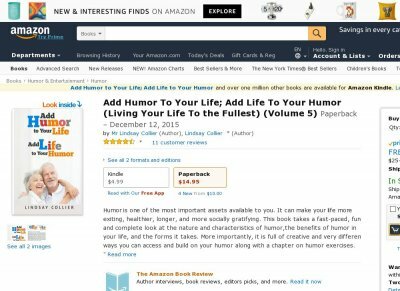 See why humor is so important to you, the forms it takes, and how to use it to change your life. It even has a very different and creative 10-day program to help you make humor an every day part of your life. Its a blast to read and loaded with some great ideas that could change your life.